Will Zimbabwe’s new president really ban the export of live wild elephants? You are at:Home»Wildlife»Will Zimbabwe’s new president really ban the export of live wild elephants? President Mnangagwa has indicated in a rather woolly statement that Zimbabwe’s conservation policies are to be reviewed. Subsequently, social media platforms have abounded with news of a presidential ban on all exports of elephants, rhinos, pangolins and lions. Such a stance would be enthusiastically lauded in conservation circles all round the world, but confusion reigns as so far no confirmation of this has been attainable. Adam Cruise and Christina Russo report on the situation for the Conservation Action Trust. 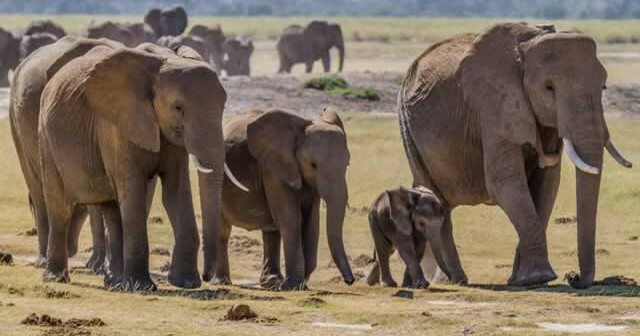 Three weeks after 31 young elephants were exported, presumedly to China, Zimbabwe’s office of the president, Emmerson Mnangagwa, announced the nation would examine its conservation policies. 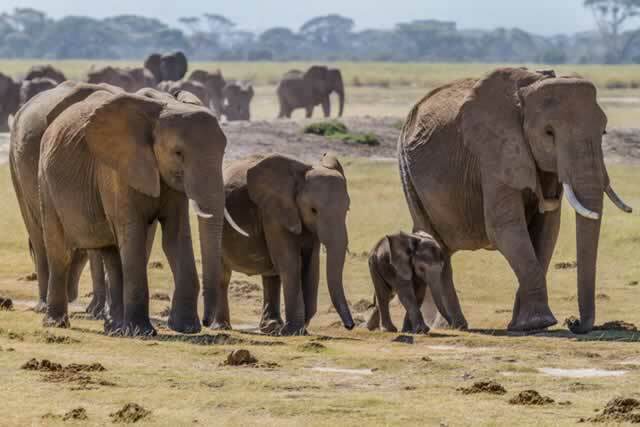 “In light of the recent export of elephants from Zimbabwe, the government is reviewing conservation decisions of the previous dispensation and formulating a policy to move forward,” said Christopher Mutsvangwa, the Chief Advisor to the President. A media report in the Zimbabwe’s Daily News claims that the new president actually went further than a review: the news story says the president fully banned the export of live elephants, as well as the export of rhinoceros, pangolin and lion. This unconfirmed information has now been extensively quoted on social media. However, no official statement from the President’s office or any other official Zimbabwean source has confirmed this. Nor could any confirmation of the source of the Daily News article be obtained from the newspaper, who’s editor suggested it came from the initial statement. This clearly did not say the practice would be ‘banned’, only that conservation policies would be ‘reviewed’. At least, five other well-informed Zimbabwean sources were unable to corroborate the existence of a ban. Yesterday, the Convention on International Trade in Endangered Species (CITES), the body that governs the international export of live elephants, tweeted the Daily News article announcing the ban but John Scanlon, the CITES Secretary General, was also unable to confirm its validity. Zimbabwe’s export of elephants, which has seen almost 100 elephant calves exported from Zimbabwe to Chinese zoos since 2012, is becoming increasingly controversial around the globe. A Care2Petition petition to stop the trade garnered almost 280,000 supporters. The letter referred especially to a recent Guardian exposé which showed undercover footage of the capture process, including graphic video of a 5-year old female elephant being repeatedly hit and kicked in the head by her captors. The letter further noted that the negative ecological and conservation issues of the live elephant trade which was highlighted in a paper presented at a meeting of the Standing Committee of CITES in Geneva. The International Union for Conservation of Nature’s Species (IUCN) Survival Commission African Elephant Specialist Group opposes the removal of African elephants from the wild for any captive use, declaring that there is no direct benefit for their conservation in the wild. South Africa has banned the capture of elephants from the wild for permanent captivity in 2008. But, while Mnangagwa hailed Zimbabwe’s current progress with regards to the conservation of pangolins and the IAPF’s introduction of an all-female anti-poaching unit, he made no further mention whether his government would continue with the capture and export of live wild elephants. In the meantime, the Chinese foreign ministry replied: “We do not know of such circumstances” when questioned on the last round of export of elephants to China in December last year, including when they arrived and their condition. Animal welfare advocates sent photos of an Ethiopian Airways cargo flight which they claimed transported the elephants from Victoria Falls to China. Flight analysts at FlightAware, a global flight tracking system, identified an Ethiopian Airways Boeing 777 Cargo aircraft that departed near Victoria Falls on December 29. The aircraft appears to have stopped for fuel near Mumbai India and was tracked until it ultimately arrived near Guangzhou, China. Requests for comment from Ethiopian Airlines were also not responded to at the time of this writing. This article was produced with support from the Conservation Action Trust.